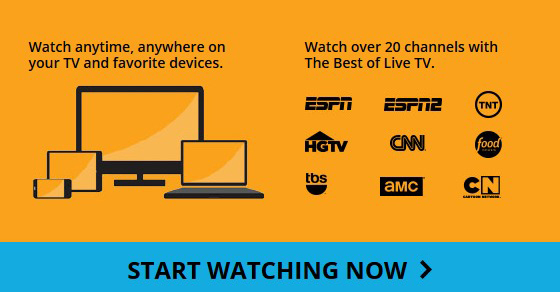 As an FTC customer, you are now eligible to add The Best of Live TV with no cable box and no annual contracts! Sling TV is the new way to watch live TV. You’ll get instant access to live sports, current-season shows, breaking news and more – starting at $25/mo. No annual contracts, no setup fees and no installation guy. Just get the Sling app on your TV or favorite device and start watching today!